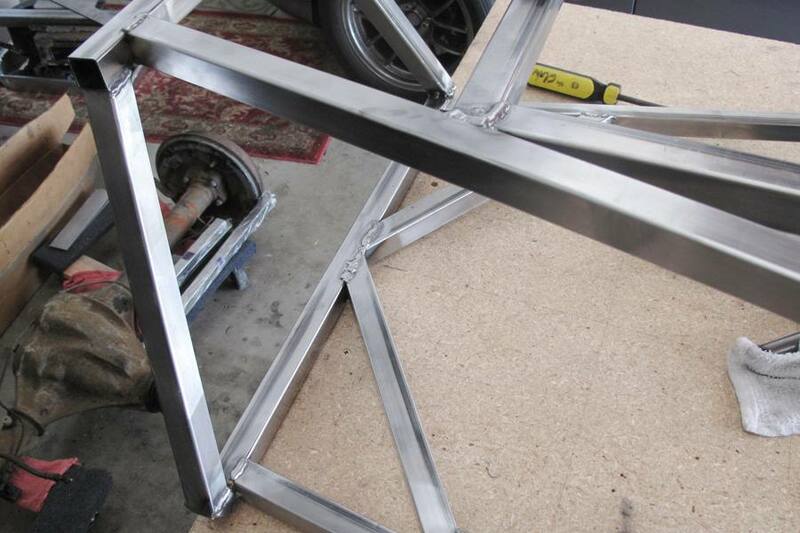 Now that the frame is all tacked together, we've started the actual welding process. It's not going as well as we'd hoped, but we haven't totally messed things up yet either. In fact, some of the welds look really good, and most look decent, if not actually respectable. A few unfortunate welds are sort of embarrassing, but only if you can see them, and we're pretty sure that what the body­work doesn't hide, the angle grinder will. Looks aren't everything, of course. The most important thing is that the metal on both sides of the joint gets melted all the way through. Any additional filler wire needed to accomplish this is therefore fully justified. 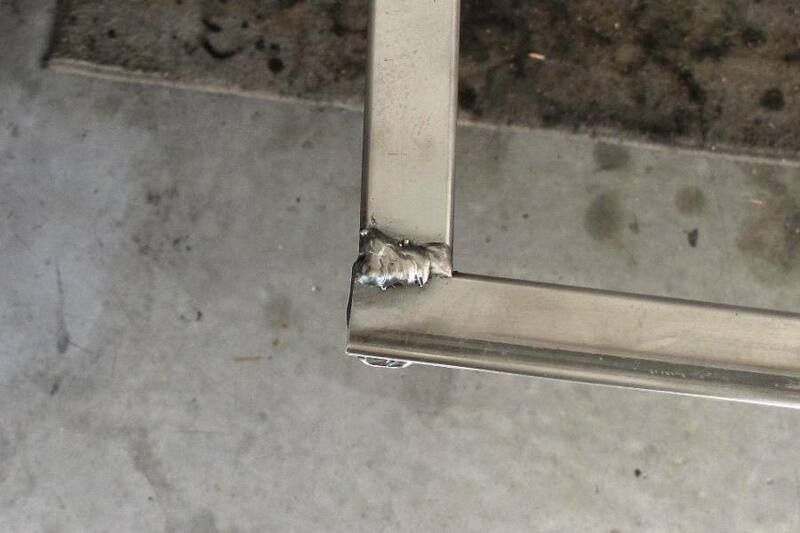 What happens when a weld goes bad is the bead wanders away from the joint. It's the old visibility problem. You lose sight of the joint, stop the torch, flip up the helmet, and curse the welding gods. Another friggen bead gone astray. If the bead runs close to the joint you can pad it with another bead and it still looks okay, just a little wide. If the bead goes off in a whole new direction you have to start over from the detour point and no amount of padding is going to make it look decent. This has actually only happened a few times, but the resulting joint is hard to look at. The Elephant Man of weld beads. But all of the welds are strong enough that we have total confidence the frame will not only be able to handle the weight of the car, but also the stresses of braking, cornering, and accelerating down the Mulsanne straight. 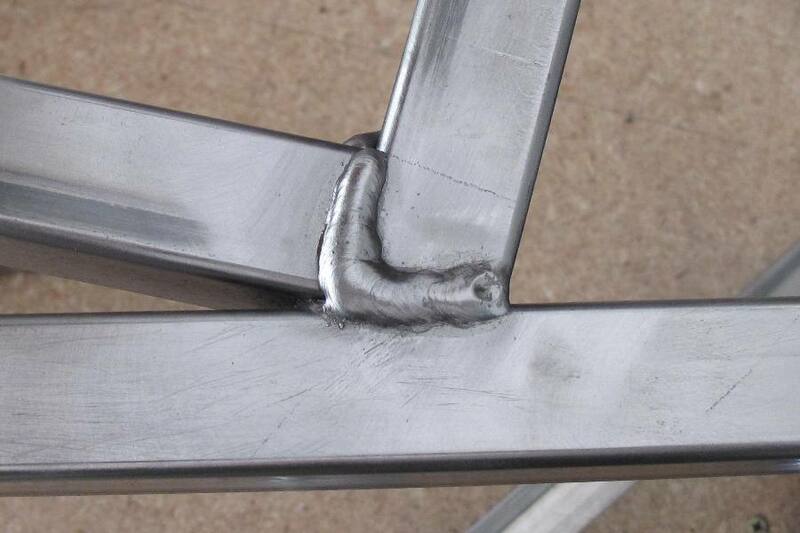 Weld strength may be less a result of our fine technique and more a result of having a semi-automatic MIG welder, clean joints, and lots of shielding gas, but the design of the frame gets some credit, too. There are a ton of tubes in this thing, and they're all short. 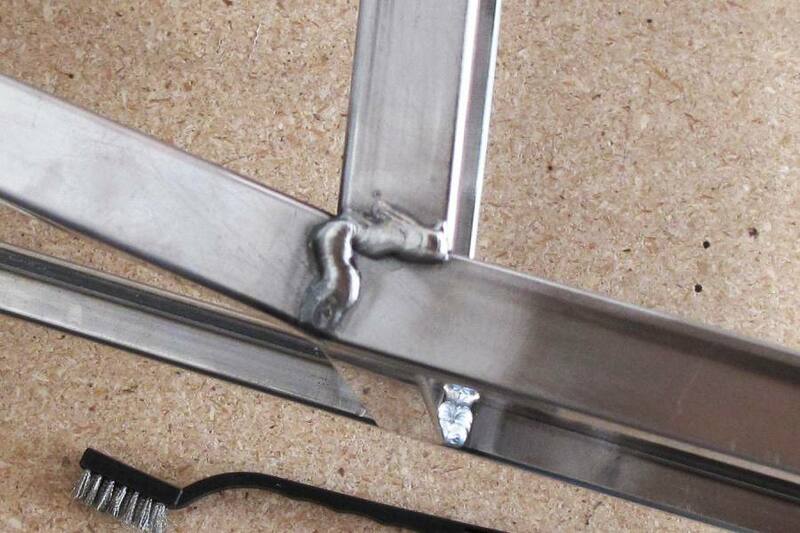 The result is a very rigid frame, no matter how much welding wire you melt onto it. Our disappointment with the welding has less do with bead quality and more to do with how long it's taking. We figured one day, weld the top, bottom, sides, and we'd be good to go. However, as it turns out, and we might've mentioned this, the frame has a ton of tubes, 75 to be exact, or if not exact then close enough, and each one has two ends. Figure four welds at each end, one per side, and it starts to add up. Some of the tubes are joined end-to-end, so that eliminates a couple of welds, but not nearly enough. You're looking at over 500 welds. That's 500, as in 5 with two zeros after it. 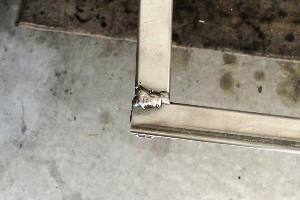 To keep any tubes from heating up too much and thereby negatively impacting the symmetry of the frame, you can't just stand in one place and weld a bunch of joints in the same area. You have to move around. It's best to weld a joint on one side of the car (we get to call it a car now), and the same joint on the opposite side. 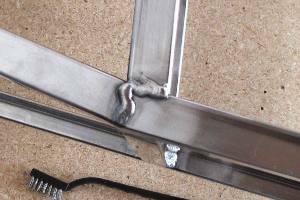 After welding a pair of joints in front, you move to the rear and do another pair. And if you don't want any resistance in the circuit, and you don't if you want to melt the metal all the way through, you'll move the ground clamp with you. So it takes a lot of time, and that's just the welding part. There's plenty of grinding, wire-brushing, and inspecting between welds, and the little 110v welder needs its rest, too. Just when it was starting to seem as if the welding would never end, our bottle of C-25 ran out. So now we get to take a break and work on other things. We still need to get the round tubes for the back of the frame bent somehow, and we need to finish up the front shock mounts and radiator mounts. We're also looking forward to building a jig for the front suspension pickups. With the pickups and shock mounts welded on, we can install the front suspension. That would be very cool. I think we'll paint the A-arms this week. And order new wheel bearings. Thank you for your article post. Much thanks again. Fantastic.